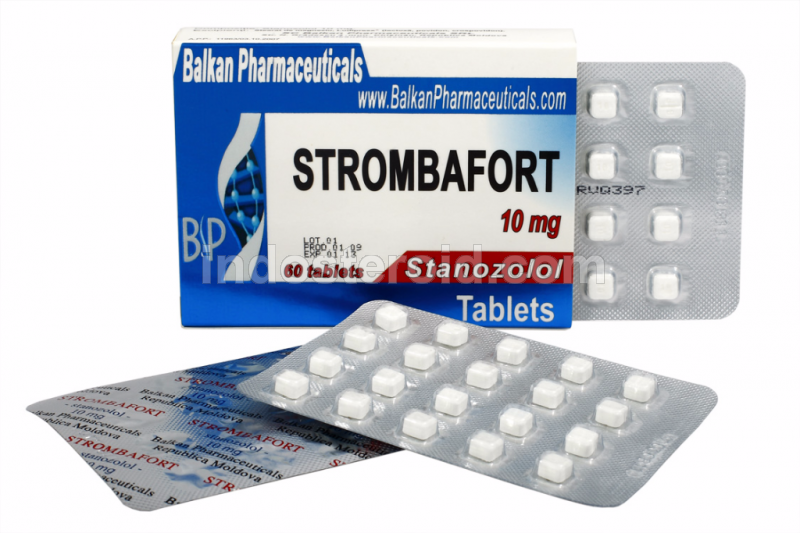 Strombafort by Balkan Pharmaceuticals is an oral steroid which contains 10mgs of the hormone stanozolol. This is the same substance that is suspended in water in Winstrol inj.. The oral preparation of this substance allows bodybuilders to avoid the discomfort of everyday injections which are the normally the protocol with the injectable version. Due to the fact that taking this product with food can cause absorbtion problems, it is recommended that one take Stanozolol on an empty stomach for best results. Some bodybuilders also choose to split up their dosage of Stanozolol throughout the day in an effort to keep blood levels as consistent as possible. Winstrol , as it is most popular referred to, is one of the most popular steroids in use today. This drug has very low androgenic properties and very high anabolic properties. Stanozolol does not have the ability to aromatize and therefore will not cause any water bloat. This has made this steroid very popular with bodybuilders in the cutting phase of their training. Users of winstrol often report good gains in strength, vascularity, and muscle tone. People often report very intense muscle "pumps" during workouts when using this compound. This can be attributed to the dynamic protein synthesis and nitrogen retention brought about by the use of this steroid. Some studies have also shown that winstrol has estrogen and progesterone blocking abilities, making it a good choice to use with other steroids such as Testosterone , Deca or Trenbolone.